BBC Live Match Diagram, originally uploaded by rowdyman. 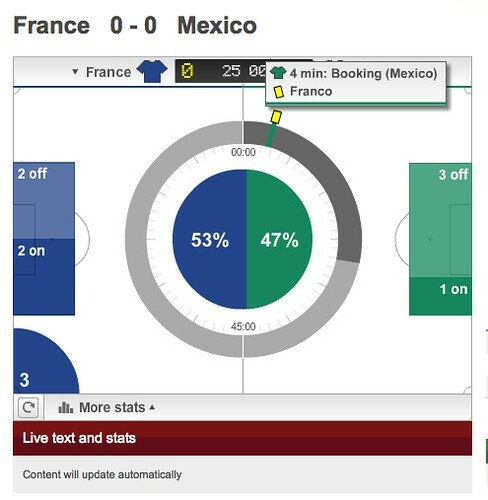 I love this live data diagram BBC is using on their site. At a glance you can see the time elapsed, time of possession, shots on/off goal, bookings and corners. All without streaming audio or video. 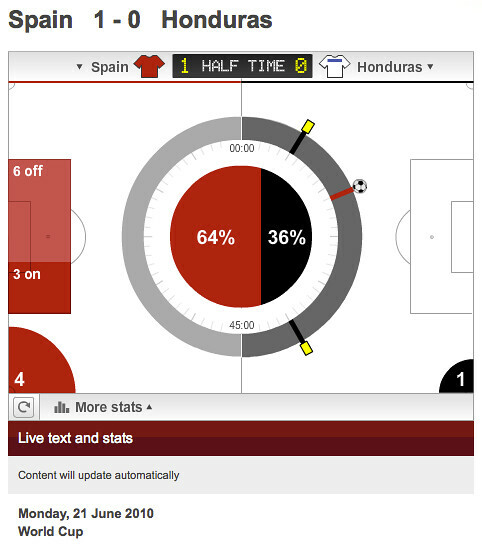 This Spain v Honduras shot is a slightly better example of BBC's enhanced data stream. The graphic shows percentage of ball possession, shots on net, bookings, corners, time and of course, goals.